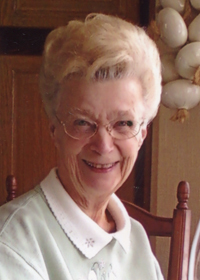 Inez Orene Casey, 85, passed away quietly and peacefully on Friday, January 11, 2019 after a long struggle with dementia, after living for several years at Courtyard Estates in Pleasant Hill. Inez was born in West Union, Iowa on October 21, 1933, the youngest of three children to Clinton and Ruby Wolfe. She was preceded in death by her beloved husband Howard Paul Casey, both of her parents, as well as sister Jean Olson of Key West, Florida, and brother Russell James Wolfe of Gresham, Oregon. She is survived by her son Douglas Paul Casey and his wife Tracey, their two children Trevor and Leah, all of Altoona, Iowa, as well as Doug’s other son Tyler Casey and his fiancé Jamie Benshoof of Kernersville, North Carolina. She is survived by her daughter Jean Rostoks and her husband Harry, and their daughter Heather, all of Waukee, Iowa. Inez married Howard Casey at age 17 in 1950, and the couple lived mostly in Iowa with a brief time spent in Fargo, North Dakota due to Howard’s work. They moved back to Des Moines and lived most of their lives on Douglas Avenue. Their last home, which they considered their dream home, was in Ankeny with over an acre of land where they both tended to the gardens, yard, and swimming pool. Their extended family spent many days and nights enjoying this peaceful acreage. Inez will be remembered and loved by those who knew her. On her 76th birthday, her family hired a boat to sail the Des Moines River with a fully catered meal, a brass band that struck up the tune from the Music Man “76 Trombones,” and many friends who came from near and far to celebrate that day. She loved all of her grandchildren and spoiled them with money, gifts, and lots of love. 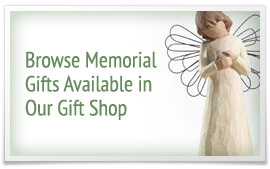 In lieu of flowers, donations can be made to the Alzheimer's Association. A memorial service will be held on Saturday, April 6, 2019 from 5:00 to 8:00 p.m., at Amvets Post 2, 2818 5th Avenue, Des Moines.